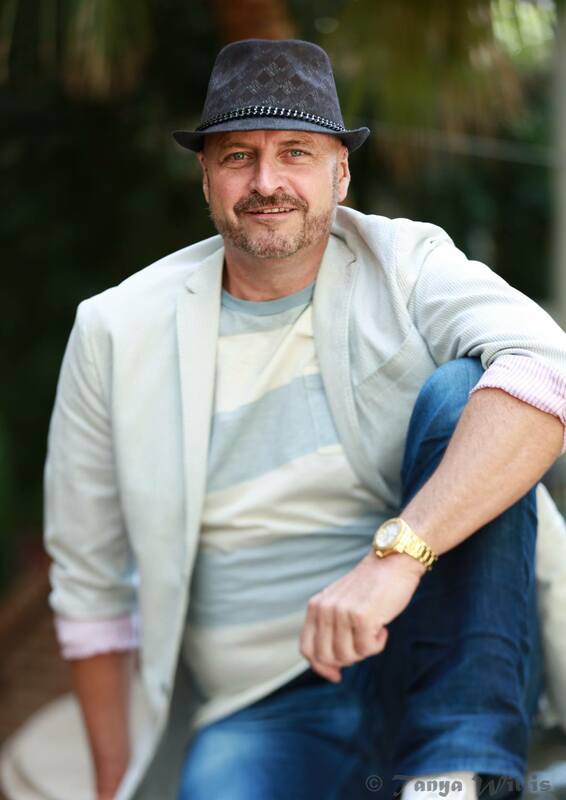 Since the age of five, Darren has had a unique passion for the marketing and advertising industry and a unique talent for seeing what others could not yet see. In the course of his 20 plus year career, he has been responsible for launching over 30 products and services into the market place – some of his campaign strategies lasting as long as 18 years. Darren was the founder and CEO of Bingo.com and he positioned the company to become the stickiest site on the Internet with an average user time of 45 minutes. Darren’s campaign strategy raised over $12 million for AbleAuctions.com. He was also the co-founder of Blackjack.com and launched the world’s first multi-player tournament Blackjack software. Darren has shared the stage with Anthony Robbins, T. Harv Eker, Dr. Lee Pulos and Dr. Dov Baron. He has walked on fire, across 2000 degree white-hot coals and across a bed of broken glass in bare feet. Darren believes that “In order to attract the one, you need to be the one”. This is a philosophy that has kept him on the path of personal growth for more than 20 years. “No matter what life circumstances we are thrown, it’s not about what happens – but how we deal with what happens that propels us to greatness”. Thanks for stopping by my personal blog and getting to know me a little better! If you are like me and you believe in “The Secret Law of Attraction”, then it’s no surprise that you are here right now reading this page. So I encourage you to read this page in its. entirety. There is probably something here that you need to know. Chances are you are either an entrepreneur, a home based business owner, or you are just looking to get ahead in life. And I’m confident that your time invested here will leave you with some knowledge that could help you to dramatically increase your income, no matter what your chosen are or profession. If you are a home based business owner and you’re interested in finding out how you can use MySpace, FaceBook, Youtube and the internet to generate an endless stream of free leads and traffic for your business, I encourage you to…Click Here to get access to my marketing secrets. But if you would prefer to speak with me in person… call me direct at 604-771-1901 or add me to your Skype: DarrenLittle11. Alternatively, Meet Me on YouTube. Before I tell you more about my most recent discoveries, let me first turn back the clock and tell you a little bit more about where I came from and how I got started. From about the age of 5 I have always been fascinated with the advertising industry; television commercials, magazine ads, radio, transit, you name it. I was one of the kids that was glued to the television each year for the Super Bowl. Not to watch the game, but to watch the commercials. When everyone else wanted to change the channel, or go for popcorn and snacks on the commercial breaks, I was the one that was glued to the tube finding humor in the Crack Jack and Alphagetti ads. I knew one thing for sure…I had DREAMS! I’m talking BIG DREAMS! “NO! This can’t be!” I remember saying to myself. I had spent over a hundred thousand dollars positioning my company into the market. I had worked so hard to get my agency positioned as an industry leader. 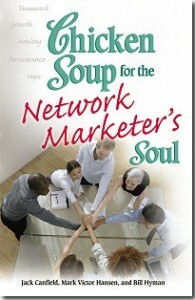 Companies began flocking to my agency in droves wanting me to help them from going under. Then one Friday it all came tumbling down. We had been promised a large payment from one client for months….and it simply never came. Another client went under, leaving me with a $47,000 unpaid printing bill. I had stretched myself to the maximum. Checks I had out for car leases, office space, the office phone, employees wages and even one clients ad space all started bouncing like rubber balls. I was beyond drowning and there was no place to turn! That weekend was one of the most devastating weekends of my life as I moved everything out of my office closed the doors and turned out the lights. I was officially DONE! OUCH! What a shot to the ego. Not to mention the confidence and self esteem. WHEW! I felt torn, battered and bruised. I began spending a lot of time in the personal development section of the book store and began training with mentors like Tony Robbins, Dr. Lee Pulos, Wayne Dyer, Napoleon Hill, Jim Rohn, Brian Tray and Earl Nightengale. I remember it like it was yesterday, eating Spaghetti and ketchup, because it was all that I could afford – while watching Tony Robbins infomercials late at night! I was ready to get back on the horse and go for another ride. Within four years I was back at the top of my game. Back up to 6 figures in no time flat…but I was looking at life from a totally different perspective. The idea of overhead, lease payments, staffing and all of the paperwork that went along with it sent shivers down my spine! From that point on I was hooked on MLM! I was determined, that I would figure out how to make it in the industry. NO MATTER WHAT! As the years went by, I stayed true to my path of personal development. I worked with many people in the industry and even had the opportunity to share the stage with Anthony Robbins, T. Harv Eker, Dr. Lee Pulos, and Dr. Dov Baron over the course of time. With every step I took, I repeated those words Freedom 35, Freedom 35. I started to notice trends and shifts happening in the marketplace with Internet stocks….and in 1999 I launched a number www.Bingo.com. We raised $7 million for the project and spent $1.2 million on the domain name alone. It made headlines all around the world….yet at the time everyone laughed at me. I remember people coming into my office saying “Who is ever going to play Bingo on the Internet Darren?” “It will never work” they said…”You’re crazy Darren!” they said chuckling in my office. And soon became the stickiest site on the internet with an average user time of 45 minutes. 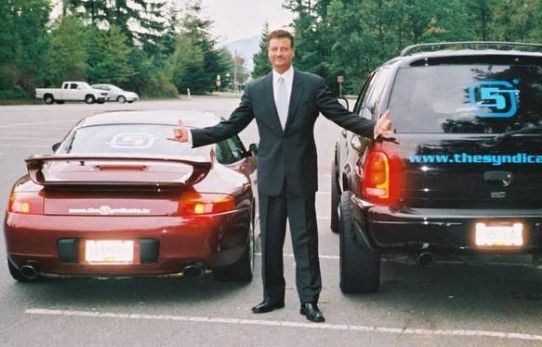 I then went on to launch www.AbleAuctions.com and www.Blackjack.com. I don’t tell you these stories to impress you. I only tell you these stories to impress upon you what can happen when you apply vision with action and practice The Law of Attraction everyday. I thought that for sure working side by side with these top income earners I was on my way to the top. 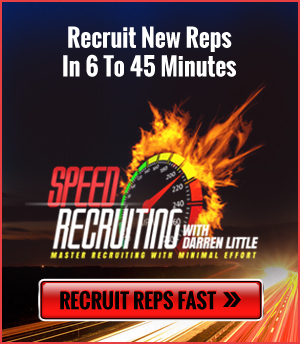 I quickly became one of the top recruiters with the company and was appointed the position as one of 6 trainers out of 70,000 affiliates. But my income certainly was not matching my skill level or my potential. Every time I hit momentum, the company changed their marketing plan… again and again and AGAIN. After spending 4 years and tens of thousands of dollars in cash flow, I soon realized that the traditional network marketing strategies were not going to make me rich and if I was going to make it in the industry, I had better figure it out and I better do it fast. I was just about ready to throw in the towel. 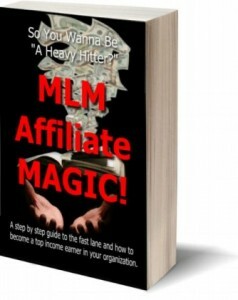 This information had such a profound impact on my life that I teamed up with a 25 year veteran in the industry named Dennis Compo and wrote a book called MLM Affiliate Magic. In addition, we incorporated an online marketing system that uses video and auto-responders to build relationships with people literally while you sleep. I’ve just recently completed a case study using these online strategies where I was able to move up 4 leadership ranks within just 5 months. In just 5 weeks I have been able to show my business to 2108 people. Now my phone rings with incoming calls and people join me in my business on complete auto-pilot. What a difference. So what’s the next step? How can I help you? What type of marketing challenges are you having that I can help you solve? Please share more about your challenges with me and let me help you on the road to success. Definitely ADD ME as a friend on Facebook. I always welcome exchanging marketing ideas with industry leaders and business professionals. If you are a person that believes in the Secret Law of Attraction, pick up the phone and call me right now at 604-771-1901 or add me to your Skype: DarrenLittle11 I would highly suggest reading a copy of my book MLM AFFILIATE MAGIC and accessing my MARKETING SECRETS HERE. I would be happy to show you the strategies I’ve implemented to attract top leaders and even owners of network marketing companies to pick up the phone and CALL ME. 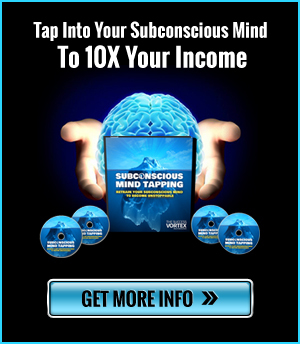 I can show you how to implement the exact same strategies for you in your business. Thanks for stopping by to check out my page and I look forward to meeting you in person one day. Please note that due to the high call volume, I do my best to return all calls within 24 to 48 hours. Who I’d like to meet: I am interested in meeting positive, like minded people that consider themselves to be entrepreneurs, super achievers, multi-taskers – that are actively pursuing taking their lives up a few notches. People that live by The Secret Law of Attraction. I specifically look to partner with people that are on the path of personal growth. People that trust in their personal power, have vision and take action. People that are searchers and seekers of the truth with strong morals of honesty and integrity. People that are willing to do whatever it takes and make sacrifices to get to the top. I love people that are willing to grab life by the horns, throw their hat over the wall and GO FOR IT! I would love to spend a day with: Donald Trump, Oprah Winfrey, Tiger Woods, Bill Gates, Steven Wynn, Warren Buffet, Jack Canfield, Tony Robbins, Deepak Chopra, Paris Hilton, Jay Leno, Eddie Murphy, Snoop Dog, Tom Cruise, Cher and Bill Clinton.